Dr Bjorklund was born and raised in South Dakota. She attended South Dakota State University and the University of Wisconsin-Madison, before graduating from Palmer Chiropractic College in Davenport IA. She is a holistic Chiropractor, specializing in Children's health and providing our families with informed healthcare choices. 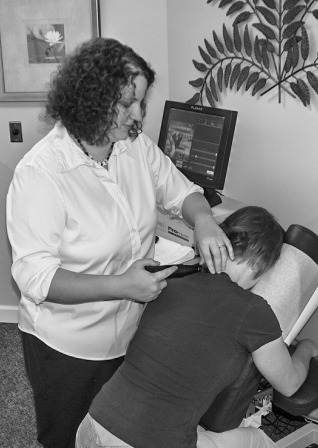 She is a member of the ICPA and will be certified as a Pediatiric Chiropractor in 2016. She is certified in the Webster Technique for Pregnant women. She enjoys working in an environment where patients are more interested in holistic approaches to health, rather than concentrating on what their Insurance covers. Dr Megan Bjorklund is known for her listening skills. So before your children have a health crisis, call and get your children set up as an established patient of Dr Megan Bjorklund. Megan enjoys helping people work toward their health goals. She resides in White Pigeon, Michigan with her husband Garth and daughter. She loves to travel and was fortunate to be able to visit Russia with a missionary group who worked to rebuild a children's music school. She also made a journey to Manaus, Brazil with other students and doctors, where they set up a free clinic and provided chiropractic care to over 5,000 people.